One of the biggest issues with people not being able to reach their health and fitness goals is lack of control... both portion control and self control.. We go out to eat at restaurants and most places have fried, greasy, and food loaded with butter, plus are loaded on your plate and enough for a family to eat. But, since its sitting in front of us, why waste it right? Lets finish it all! NO, this is the problem... we need to find the strong in us and focus on what and how much we are eating so we know when to stop. We are full before we even realize, so when we continue eating, those calories add up fast. We also have a huge issues with emotional eating. We eat when we are sad, happy, mad, scared, etc. but that affects us in so many ways both mentally and physically. Snacking is sometimes taken to a new level and by learning how to eat properly and how to "snack right", our bodies can make some amazing changes! What will you do to reach your goals? A little commitment and effort can get you a long way! What I do is 1:1 online coaching every single day to help you stay accountable and motivated to help you reach your overall health and fitness goals! Watch this video and read more below for an overview of the program. READY FOR A 21 DAY PROGRAM TO HELP YOU REACH YOUR GOALS??!! 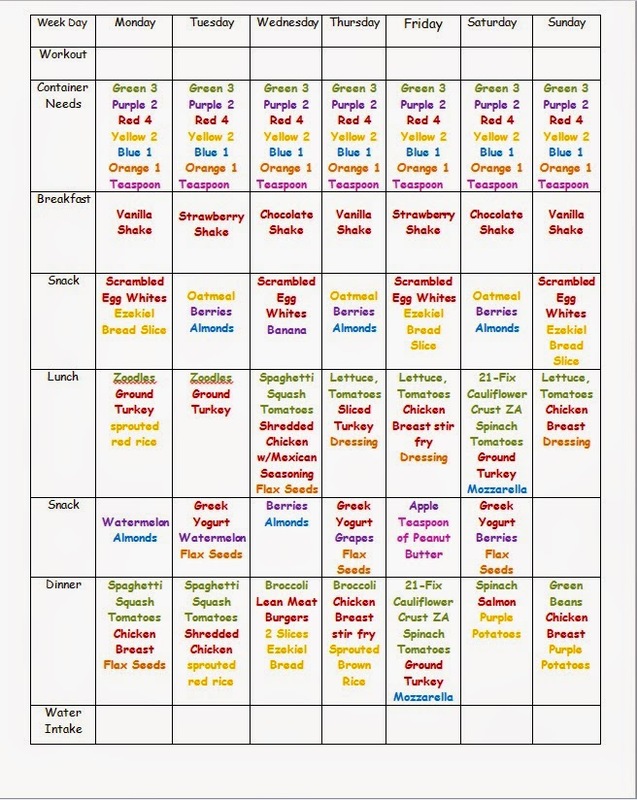 This is a 21 day program that focuses on portion control, clean eating, and also incorporates exercise into your regimen to help you maximize your results! But it's not a quick fix. Instead, this is a LIFESTYLE! It takes 21 days to make a habit, and so the 21 days teach you healthy habits for a lifetime! Many people think if they workout every day, they can eat whatever they want, but are confused on why they are unable to reach their goal weight/body. This program is designed to help you balance each important area that is needed to help you achieve your overall goals. This is like having the best of both worlds... You will get a nutrition guide to help tell you what to eat and when, an exercise program along with a schedule that tells you when to do each workout, and you even get the containers for your food! In the 21 day Fix Challenge Pack, you will also get an entire month of Shakeology in home direct (HD)! or 100 pounds, you can do it with this program. you’ll learn how to create healthy portions simply and intuitively. It shows you how to eat whatever you want, in the right amounts, so you can reach your goals fast. beginner, follow the on-screen modifier. And if you’re an advanced exerciser looking to shed those last few pounds, dial up the intensity and challenge yourself to push harder. Autumn Calabrese is your personal trainer. She is a celebrity fitness trainer, busy mom, and national-level bikini competitor. She came up with the idea of a portion-control container system after watching a client eat an entire 1,300-calorie salad in one sitting because it was “healthy.” Autumn realized that supersized portions were hurting her clients’ weight-loss success because they were eating too much without knowing it. So she developed portion-control containers to help people see how simple it is to eat the right amounts and lose weight easily. 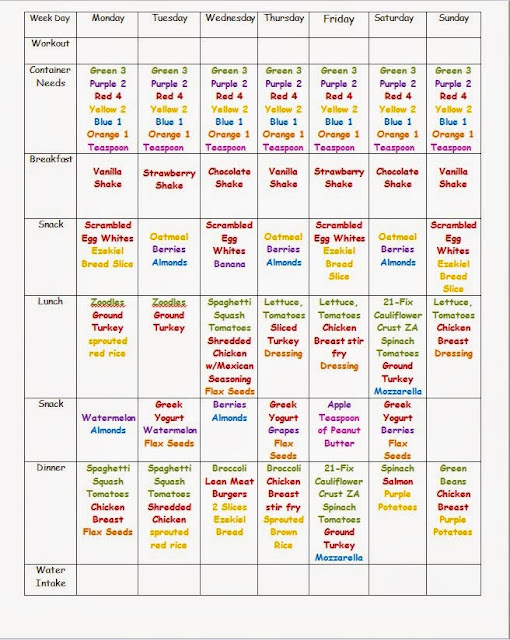 And as a single mother, Autumn understands how hard it can be to fit exercise and healthy eating into a jam-packed schedule. So she created short but effective workouts that take only 30 minutes a day, along with a simple eating plan that doesn’t require you to spend hours in the kitchen. 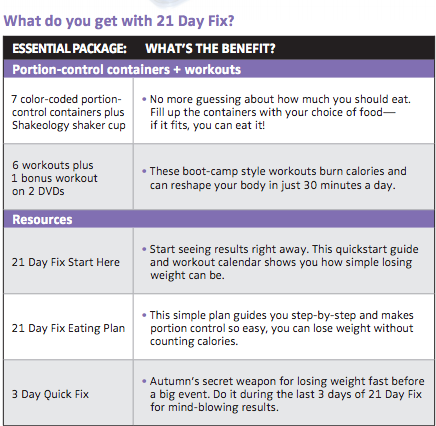 What's included in 21 Day Fix? You can use dumb bells or you can use a fitness band which can be purchased on your beach body account when ordering your program. This is one meal you NO longer have to prep or worry about! 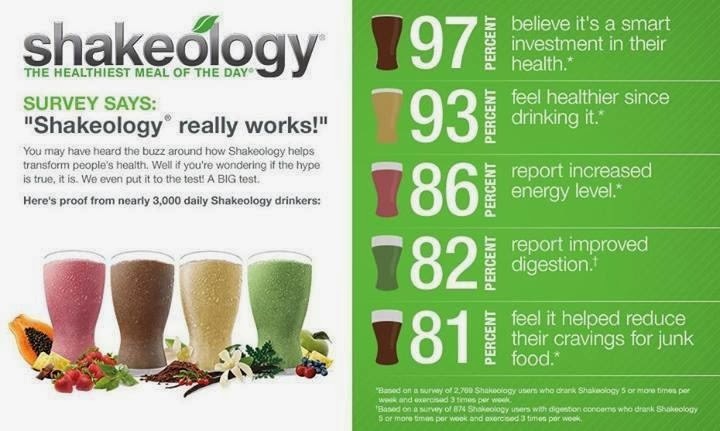 If you skip a meal, I suggest incorporating Shakeology once a day in place of the meal usually skipped.. I use it for either breakfast, lunch, or even my 2nd meal in between breakfast and lunch. It keeps me full longer, helps me with cravings, tastes like a treat so I don't feel deprived. There are many shakes out there and people are jumping from diet shake to diet shake. This is NOT a diet shake or weight loss shake. This is specifically created meal replacement shake to help you get a complete, and balanced meal at least once a day, which will then aid in weight loss. Want to know more or join my fitness and nutrition accountability group? Fill out the form below.